Eliminating that morning “Cup of Joe,” consuming processed foods high in nitrites or monosodium glutamate (MSG) and enjoying too much alcohol are potential headache triggers for people battling migraines, says Vincent Martin, MD, professor in the Department of Internal Medicine at the University of Cincinnati (UC) College of Medicine. An October 31st 2016 release from the university reports that there are two different approaches to preventing headaches with diet. The first approach would be an elimination diet that avoids foods and beverages known to trigger headaches. The second approach would be to follow a comprehensive diet that may prevent headaches, explains Martin, co-director of the Headache and Facial Pain Center at UC Gardner Neuroscience Institute and an expert in the area of migraine. His conclusions and others come after performing an exhaustive literature review of more than 180 research studies on the subject of migraine and diet. Martin’s two-part review, is publsihed online in the Headache: The Journal of Head and Face Pain. It is co-authored by Dr. Brinder Vij, associate professor in the UC Department of Neurology and Rehabilitation Medicine. That said, too much coffee may also present a risk. No more than 400 milligrams daily–one cup is 125 milligrams–is probably the maximum for migraine patients, says Martin. “Large amounts of caffeine can bring on anxiety and depressive symptoms as well as headaches,” he explains. 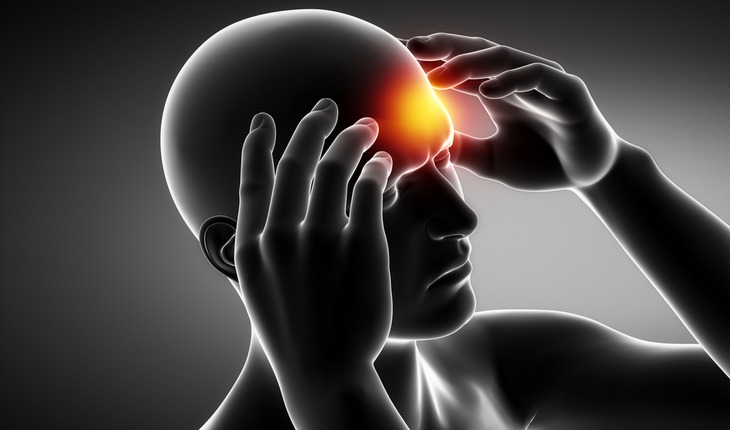 Another trigger for migraine is MSG, which is a flavor enhancer used in a variety of processed foods, including frozen or canned foods, soups, international foods, snack foods, salad dressing, seasoning salts, ketchup, barbecue sauce, and heavily in Chinese cooking, says Martin. Alcohol is one of the most commonly reported dietary trigger factors for migraine and studies suggest vodka and red wines, especially those with highest histamine content are problematic, says Martin. There is a lot of interest in gluten-free diets, but they are only helpful in lessening headaches if the individuals suffer from celiac disease, which can be established by a positive blood test or intestinal biopsy, he adds. Vij says low fat diets restrict the amount of fat in the diet to less than 20 percent of your daily energy requirements. “The beauty of these diets is that they not only reduce headaches, but may produce weight loss and prevent heart disease”, says Vij. Low carbohydrate diets such as ketogenic diets can reduce headache frequency, but it’s not something to consider without strict physician supervision. The diet limits carbohydrates more than the well-known Atkins diet, Vij explains.